Some players may be still struggling with the playing techniques, so here are tips to help fix. Although these tips may be basic, you can still take a look. Thanks to the reddit user brbafterthebreak who gives out these tips. Shield until a player makes a run, because they will. One thing EA got right is having players make the right runs at the right times. If you do, you will be fucked considering your whole team will be crowded at the edge of your opponents box. You do not wanna give up possession with your CDM at the center circle with only your fullbacks covering, you'll get merked. Don't just play a through ball when your striker makes his first run because it won't work. As you know, players tend to run and then abruptly stop a lot, which means you need to only take the highly likely chances. This is because they only take the high quality chances, so you need to be clinical. If you look at professionals, they use a lot of LT-RT which drags the centerbacks out of position, use it. Don't try to shield the ball with Dybala or try to dribble past a player with someone like Diego Costa. It just won't work. Use your players to your advantages. "I know it sounds simple but if you actually think about it, it's not. I play too many players who try to dribble with their CDMs and then will Complain they don't stay back. This is because well, you're not using your Gustavo, de Rossi, Schneiderlin or other CDMs like you're supposed to. Which means as anchors that clean everything up past the midfield line. It also goes the opposite way as well. I see people never passing it to their agile dribbling strikers and using them by just waiting for them to make a run, only to get bullied off the ball. If you're using someone like Giovinco, Mertens or Messi, you're supposed to control them and just run around using LT-RT because it causes havocs." While attacking and defending, remember that your opponent is panicking as soon as you are next to his box. Hope these tips can do help. 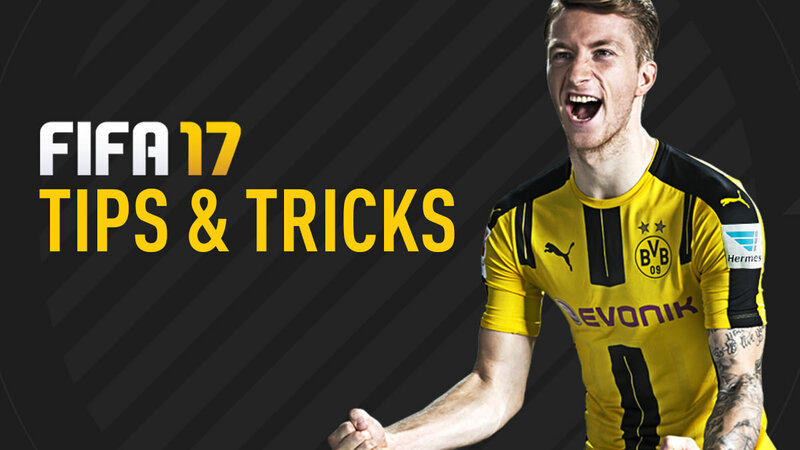 Come to vist our website fut16coin.com to get fifa coins cheap. During the promotion, you can get 5% discount with the discount code "FIFA 2017".